Ada pertanyaan untuk The Curzon Court Hotel? 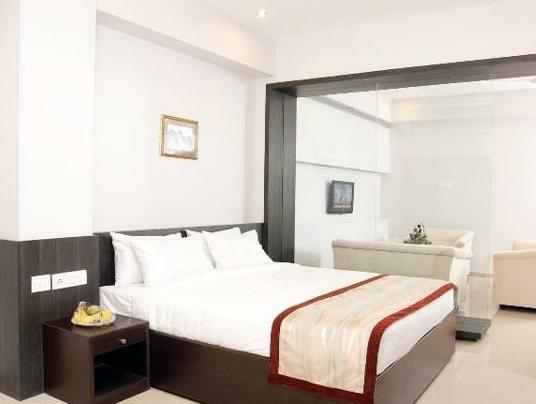 Terletak di pusat Pusat Kota Bengaluru, The Curzon Court Hotel adalah tempat ideal untuk menelusuri Bangalore. Kehebohan pusat kota terletak hanya 1 km dari sini. Dengan adanya obyek wisata utama kota ini seperti Bangalore Central Shopping Mall, Brigade Road, M G Road yang sangat dekat, pengunjung akan sangat menyukai lokasi hotel ini. Di The Curzon Court Hotel, pelayanan istimewa dan fasilitas yang unggul akan membuat pengalaman menginap Anda tidak terlupakan. Para tamu hotel ini dapat menikmati fasilitas di tempat seperti layanan kamar 24 jam, WiFi gratis di semua kamar, Wi-fi di tempat umum, tempat parkir mobil, layanan kamar. Hotel ini memiliki 45 kamar yang didesain dengan indah. Banyak kamar memiliki televisi layar datar, akses internet - WiFi, akses internet WiFi (gratis), kamar bebas asap rokok, AC. Fasilitas hiburan hotel ini seperti pusat kebugaran dirancang untuk bersantai. Dengan lokasi dan fasilitas ideal yang setara, The Curzon Court Hotel dapat memenuhi berbagai macam hal. The room has a lot of things not working like towel holder, AC leaking water, poor curtains, etc. The staff is satisfactory, The hotel has no facilities and entertainment like gym(not working) or swimming pool or spa. The hotel restaurant serves an awful breakfast. Its veg and the give the same things everyday. Not a good hotel. Staff kept us waiting at the reception even though it was 2am in the morning. They should have provided us a room and settle any outstanding issues in the next day. Bedsheets were dirty when we arrived in the room. Customer service at reception was horrible. They kept arguing and talking without giving customer a chance to speak! Manager at the hotel was friendly and helpful to settle the dispute. Must be careful when booking through Agoda, theres' a price difference between 1 or 2 person in the room. i booked a suite as the three of us wanted to be together. we were debating between the extreme the oberoi or curzon. yes i know we can't compare the two however all of them were happy at the end of the day Reasons we only had one day/night location was awesome wrt shopping, eatery,pubs and transport hotel was clean service was good ,friendly and obliging security was good i excused them for the breakfast place as they were undergoing renovation we can walk around and did not use the auto service which was excellent. Hence i hope i have answered your questions if you are reading this. If you could make a good restaurant here would be great food is ok even now also. Here my idea is Terra's should be a coffee place there all can have good time and telex after a busy long day. Breakfast is deceptive in narrow dinning room, little choice. Great location in the heart of town, very economical and very comfortable rooms. A very nice experience overall, the only point I would inform others about this place is that it doesn't have a space at the entrance to unload luggage. You have to double Park your car on a very busy Street to load or unload your luggage when you arrive or depart which can be a bit daunting given Bangalore's impatient traffic. Location, staff efficiency, clean hotel rooms. Curzon Court exceeded my expectations. The deluxe room was very big and clean, even the extra bed was comfortable to sleep in. The staffs were very efficient and courteous, they attended to our needs patiently and without attitude. We enjoyed our stay very, very well. The only disappointment was the complimentary buffet breakfast options. I hope the hotel will improve on this but otherwise, it is a very good hotel to stay in. terrible stay! the whole hotel stinks of pest control. the room had the same stink through out and was worse when the ac was on. we had to turn off the ac and keep windows open. after paying for an ac room. even after requesting they did not change our room. the breakfast is frugal.. terrible like going to a canteen!! i would not recommend this hotel at all!! too expensive and horrible. waste of money! Easy check-in, big clean room, located within minutes from all the action on Church Street. Staff is friendly and helpful. 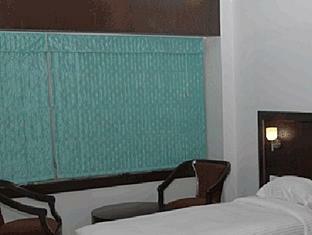 The hotel is located on a shopping street near MG Road with a lot of eatery around. The price of car rental from the travel service inside the hotel is reasonable. It is a very basic hotel. Shower did not work, so bucket was provided in the bathroom. Mattrass and linen are old although clean. 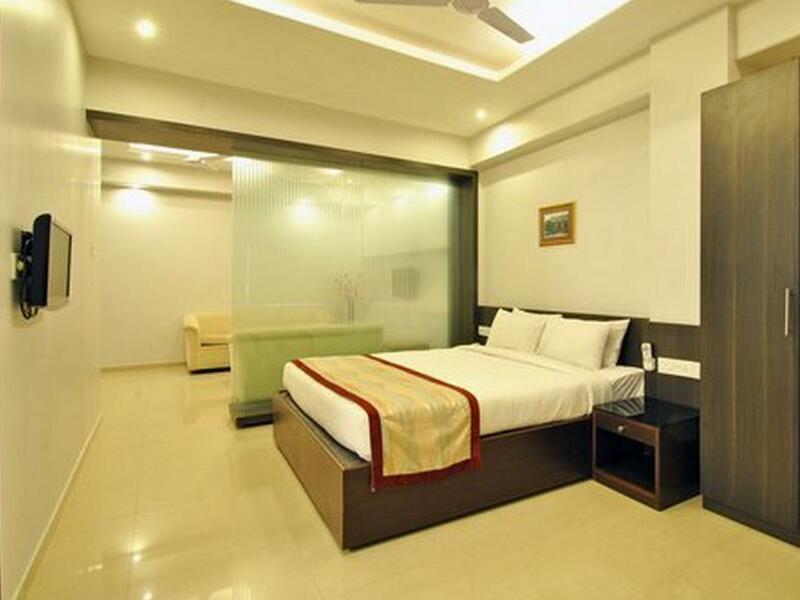 Cleaners always offers to clean room, expecting tips, so does the elevator operator.Hotel is located in a shopping street, close to MG Road and the Metro (skytrain) station. Staff are friendly and there is a travel desk which provide car rental.